AzuriteYT plays a variety of games and one of them is Skullgirls. The game is new to the uploader's collection and he is looking to get his feet wet with the Lab Zero Games fighter. In the mist of all the fighting games on the market, Skullgirls is shown some love. 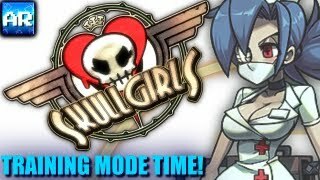 AzuriteYT has posted a new Skullgirls clip where he looks to learn and train in order to be a force to be reckoned with in the online world.